In the late 1960s I learned how to prophesy. Among my early teachers were young missionaries sent into San Francisco’s Haight-Ashbury District, the center of the Hippie phenomenon, by America’s largest Pentecostal denomination, the Assemblies of God. My education in the prophetic picked up by way of the Full Gospel Business Men and the ministry of the Fort Lauderdale Five, as we called them, which consisted of Bob Mumford, Derek Prince, Ern Baxter, Charles Simpson, and Don Basham. It seemed easy. Close your eyes, lay hands on the subject’s head, say “Thus saith the Lord,” and proceed with whatever was in your mind, because the next words that came out of your mouth would be from God, or so it was thought. The Spirit would be released by faith. What I found in my mind were usually stock phrases that I had heard many times: “You will be greatly used of God.” “You are one of God’s anointed.” “You will return to your home and be a mighty witness to your family and friends.” “You are to go back to college.” “Seek out churches that are moving in the Spirit.” “You will be healed of all your diseases.” These are a smattering of the words of prophecy I heard over the course of about six months and which I incorporated into my own prophetic ministry, as minimal as it was; however, the larger part of my ministry was healing, and the two seemed to go together. As time went on I became more specific in my prophetic utterances. “Marry the young man you are living with in sin.” “Quit your job and go into full time ministry.” “God is calling you to go to South America to be a missionary.” "God is telling me you are to cut your hair and stop smoking dope.” “You are not spending enough time in prayer.” “God wants you to be playing guitar in our praise band.” Strange, I thought sometimes, how the prophecies had a great deal to do with the needs of our own ministry and later, our church. It is painful to recall the manipulating we did in the name of the Spirit.1 Perhaps I should have known better. At the time it seemed good and right, a kind of short cut in pastoral ministry. Instead of carefully working with an individual, a quick “word of knowledge” or “prophecy” saved a lot of time. There was also an intoxicating sense of being somebody of importance in the kingdom of God—at least at first. Later on, being known as a person anointed with the Spirit meant that some were afraid of me or demanded my time and attention. My sense of history regarding prophecy at that point was minimal at best. At seminary I became aware of some excesses identified with prophets from the second century and also something similar that happened in Munster, Germany shortly following the Reformation under Martin Luther. Because of the impact the charismatic movement was making during the 1960s, there was also a renewed interest in the history of Pentecostalism. It was not apparent to me at that point that what I was seeing differed significantly from the traditional or historic concept of the ministry of the Holy Spirit. I now wish I had known then something of the interaction between John Bunyan and the English Quakers. Born in 1628 in Bedfordshire, England, John Bunyan would become one of the greatest of the Baptist preachers and writers, a fact attested to by all who have read Pilgrim’s Progress and Grace Abounding. He fought in Oliver Cromwell’s Parliamentary Army, married after his discharge, and some time later and after a rather dramatic conversion, became known for his strong preaching. It was in Bedford that Bunyan became acquainted with the Quakers, who believed in the “inner light”—or “inward light”—terms that were developed by George Fox.2 Fox also would use the more biblically-oriented phrase, “Christ within.” He had little respect for the organized church of his day and taught that Christians did not need to have any professionals teaching them, as they each had the inner guidance of the Holy Spirit. For Fox there was no need of any teacher but the Light, and after all, did not Jesus say He was the Light? 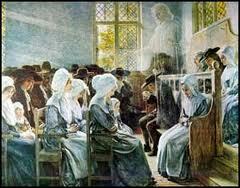 Fox’s influence upon the Quakers was such that, to this day, many Quaker meetings are without teachers or preachers. Members gather and sit in silence and are only to speak when the inner Light moves within them, causing them to “quake” as a sign of the Light’s readiness to bring light and reveal the things that the Christ within speaks clearly to them. Bunyan objected that what the Quakers needed to be listening to was the story of the “Christ without,” the biblical story of the person and work of Jesus, that God in the flesh had died, been buried, and risen from the dead, had ascended into heaven, and was now seated at the right hand of the Father. 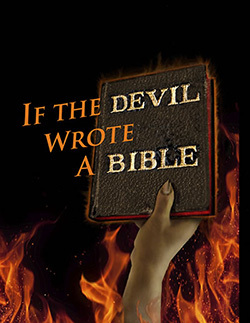 He knew the depths of depravity in human beings, he knew that the thoughts of the heart are only on evil continually, and that unless solid Bible teaching and doctrine was proclaimed, there would only be darkness and confusion. In Bunyan’s estimation, the Quakers would indeed hear voices within, which they would carelessly assume was the Spirit—they had little or no discernment. He saw them as too credulous and lacking sober suspicion. The Quakers had ignored the fact that there is a spiritual warfare and a “god of this world” who roams about seeking someone to devour, a god who most often uses lies and deception to do his dirty work. The Quaker response was that Bunyan placed too much importance on the written Word and was therefore guilty of stunting the working of the Spirit—tantamount to a blasphemy of the Spirit—which is very intimidating for those who do not grasp the powerful and permanent electing work of God. Influenced by charismatic/pentecostal teachers in the late 1960s while I was engaged in what would be called The Jesus People Movement, I thought that prophecy was predictive. Whenever I read “prophet” in Scripture I imagined them doing what I was seeing done and was doing—giving words or direction or encouragement to people. It did not occur to me that the primary activity was a forth-telling of the words of God that had already been revealed. Prophets were preachers, not psychics or fortune tellers. This was not a lesson easily or quickly grasped. Old Testament prophets looked forward to the coming of the Messiah in both incarnations, the first at Bethlehem and the second which is yet to be. They proclaimed the Word of God. Now Jesus has come, we have our New Testament as well as the Old, and we have all we need. Jesus has given us every bit of direction we need to keep us about our work until that grand and glorious Day of his return. However, the idea developed, even back to the days of the second century, that God speaks words about the future by the Spirit.3 Recently some have determined that God is raising up new prophets to guide us into the coming last days. Why such direction would be needed is not made clear, but they apparently believe that God is constantly changing strategies and plans. What I most enjoyed when I was a “prophet” was the power I had over people. I think it was the neo-Orthodox theologian Reinhold Niebuhr who defined sin as “the will to power.”5 If my prophecy was refused, neglected, or even questioned, these were sure signs of disobedience and lack of a heart for God and His glory. Even when a specific “word” proved by later events to be in error, I had at my disposal a number of reasons, and a “lack of faith” on somebody’s part was at the top of the list. Telling people what to do, directing them and guiding them in the ways we thought they ought to go—this was heady and deceiving—however spiritual we might have fancied ourselves. It was not until many years later that my understanding of prophecy began to change. Though I do not consider myself a cessationist, my view is that prophecy is primarily the forth-telling of the Word of God already revealed to us in Scripture.6 Though I embrace a Reformed Theology7 , I can find no clear passage in the Bible that demands I adopt a cessationist point of view. But I must attest to the possibility that there is a place for prophecy similar to what we find in Acts 11:28 and 21:10. In these two passages we find a man named Agabus, described by Luke as a prophet, who told of a coming famine in Acts 11 and later in Acts 21 warned Paul that he would be taken prisoner if he visited Jerusalem. In regard to the famine prophecy, the believers took it seriously, though Paul went on to Jerusalem anyway, despite the word from Agabus. Nowhere was it reported that Agabus was not a genuine prophet. It was my experience in the Jesus Movement that there were instances of genuine prophecy and other power gifts of the Spirit, including healings and miracles. This conclusion is based on nothing more than my own observation. In studying other awakenings, I found chronicled miracles of healing along with the presence of prophesying. The exact nature of such is unknown, but my thinking is that God will do what He will do in times when the Spirit of God is moving in power. What I see taking place at Bethel Church in Redding, California and other places8 does not seem to me to be biblically-oriented prophecy. Scanning the many words of prophecy coming out of places like Bethel in particular, but not limited to it, I see the same old patterns emerging that I am familiar with from the early days of the charismatic movement and the Jesus People Movement. It seems to me they are words coming out of the minds of the “prophets” and not words from God. Simply employing the trappings of a prophet—“Thus saith the Lord”—with laying on of hands, even the use of anointing oil, does not make for genuine prophecy. My sense of it is that much of what we see in the guise of prophecy are misguided attempts to serve God rather than intentional manipulation. Saying that, it may be that I am being too generous. I am no judge and jury, but because I know firsthand the dangers of predictive prophecies, it is wise to be cautious and critically analytical. To do so is not to question God, which is often suggested by those who want to defend their prophetic ministries. The use of intimidation based on spiritual threatening is sub-Christian. How difficult it is to be critically aware in the presence of these “ministries.” For one thing, there is the desire to please the prophet, especially in a public forum like a service at a church. Few would want to stand out in front of hundreds of people and not go along with what was expected. Failure to react in the right way might bring laughter, scorn, even rejection. There is also the fear of displeasing or disobeying God. If thousands testify to the God-given prophetic gifts of a person, and all in the name of Jesus, who dares to stand against such overwhelming pressure? And, however wrongly, a person may also have a strong fear that by questioning the authenticity of a prophet and/or a prophecy they might be guilty of blaspheming the Holy Spirit or at least disobeying direct revelation from God. My experience has been that people who expect God to speak to them through a prophet have little chance of being able to critique the event. There have been times I have “gone along to get along,” even when I saw that not all was as it should be. John Bunyan was able to stand up against the excesses and errors of his day, and he paid a heavy price for doing so. What if he had capitulated and embraced the messages of the voices who spoke when the quaking began? With the author of Pilgrim's Progress, let us not be too credulous and lacking sober suspicion. 1 At a funeral some years ago a woman I had prophesied over and told that she was to marry a certain man scolded me and announced loudly that the man in question, and with whom she had two children, was in prison for sexually molesting them. All I could say was, I'm sorry. I had by that time realized the awful consequences of my prophetic ministry. 2 For more on John Bunyan and the Quakers see Original Sin by Alan Jacobs, published by HarperOne. 3 Marcion, the Gnostic/Christian, considered himself a prophet with a unique role to play in the church. His movement ended in confusion and scandal. 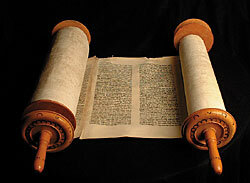 4 See Deuteronomy chapters 13 and 18. 5 Niebuhr’’s understanding of sin is presented in his classic work The Nature and Destiny of Man, published in 1941. 6 Cessationism says that the gifts of the Holy Spirit, especially the “power gifts,” are no longer operative since the completion of the New Testament. For lists of the charismatic or Spirit-given gifts in the New Testament see 1 Corinthians 12 and Romans 12. Some see other gifts mentioned as well, among which is celibacy—1 Corinthians 7. 7 Reformed Theology is otherwise known as The Doctrines of Grace and is associated with the work and followers of John Calvin in the 16th century. 8 Included here would be Toronto (former) Vineyard Church in Canada, the so-called Kansas City Prophets associated with IHOP, the International House of Prayer in Kansas City, Kansas, and at Morningstar in North Carolina, and other churches and ministries that have aligned themselves with the aforementioned churches and ministries. 9 Matthew 24:24 For false christs and false prophets will arise and perform great signs and wonders, so as to lead astray, if possible, even the elect. Also consider 2 Thess 2:8-9 and Rev 13:14 about the work of the anti-christ in the last days.